A new route around the Celtic peninsula of West Penwith, featuring scenic views of the Atlantic Coast, to the Apple Tree at Trevescan, St. Buryan, Sancreed, Heamoor and Hayle. Link to Zip file containing GPS navigational files for this event in various formats. See the PDF document included for details. 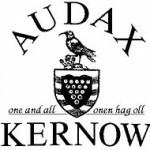 This entry was posted in Audax Local Calendared, Connor Downs 2016, Events and tagged Celtic Coastal. Bookmark the permalink.